JERUSALEM — Teva Pharmaceutical Industries Ltd., today announced the launch of a generic version of Uceris (budesonide) extended-release tablets, 9 mg, in the U.S.
Salix Pharmaceuticals’ Uceris had annual sales of approximately $196 million in the U.S., according to IMS data as of May. When glucocorticosteroids are used chronically, systemic effects such as hypercorticism and adrenal suppression may occur. Glucocorticosteroids can reduce the response of the hypothalamus-pituitary- adrenal (HPA) axis to stress. 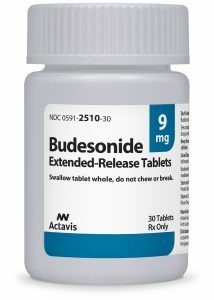 Since budesonide extended-release tablets are a glucocorticosteroid, general warnings concerning glucocorticoids should be followed.